View More In Baking & Cookie Sheets - Page 3. Durable half size cooking, or baking, pan set. 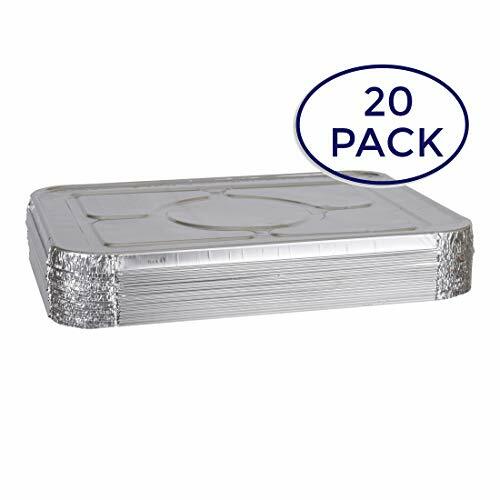 The Excellent set includes 9 X 13 inch aluminum disposable pans with perfect fitting matching aluminum lids. These half size pans are perfect to bake or cook any type of food. It is the #1 Pan-Lid set which you MUST have in your kitchen! These Half size pans is the perfect solution for all your cooking, baking and storage needs. Its Superior Quality makes it safe for your fridge, freezer, and oven. It is the ideal size to storage away your food in the freezer for later use. If you have any questions about this product by A World Of Deals, contact us by completing and submitting the form below. If you are looking for a specif part number, please include it with your message.